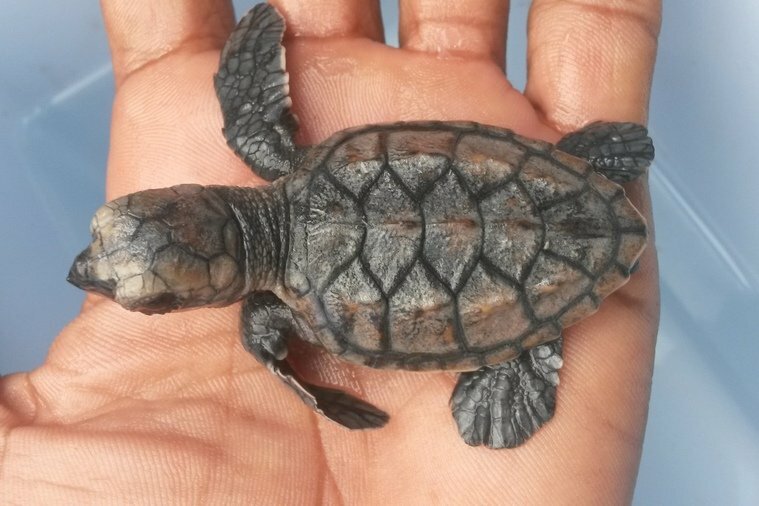 Troubling news reached our island home recently, when we received a call about a critically endangered baby hawksbill turtle in distress. The turtle had been captured out of season by a British Virgin Islands (BVI) fisherman. 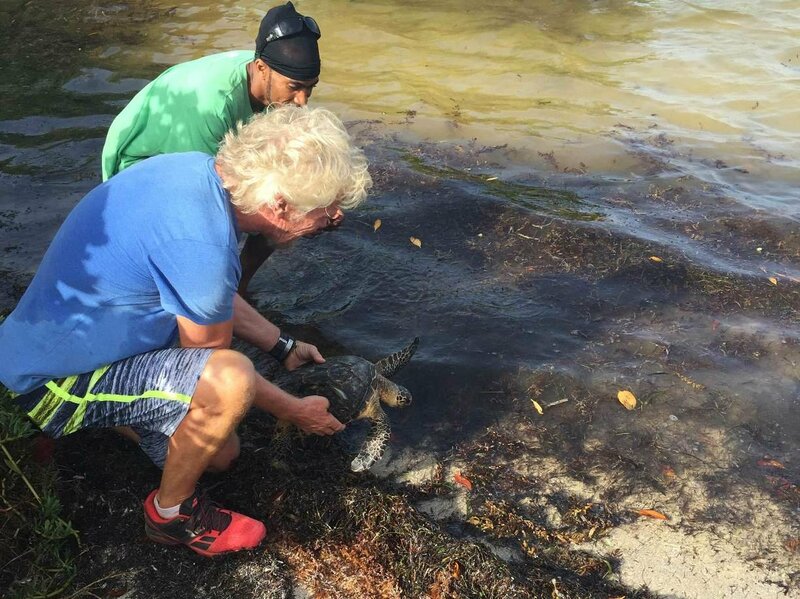 Luckily, Save the Turtles BVI founder Gumption stepped in and rescued the turtle from harm. I happily volunteered to help release the beautiful sea creature back into the ocean. 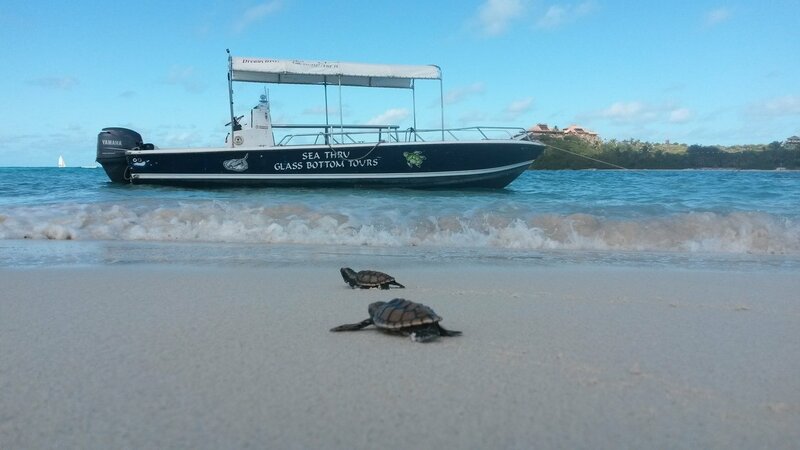 By law, BVI fishermen have the right to hunt and catch turtles during the ‘Turtle Season’. Save the Turtles BVI is working to end the Turtle Season all together, and prove eco-tourism can be more profitable than hunting these animals. Six of the world’s seven marine turtle species are endangered or critically endangered, and turtle conservation measures not only benefit the species themselves, but are investments in people and their livelihoods. There’s a wonderful feeling that comes with being able to help an endangered species survive another day – releasing healthy wild animals back into their natural habitat is a humane way to help individual creatures. But there’s an even better feeling that comes from working to prevent their extinction all together. Turtles are in peril. Over the last 200 years human activities have tipped the scales against the survival of these ancient mariners. Only one in a thousand survives to adulthood. 20 per cent aren’t strong enough to make it out of their nests. The vast majority of those that do are hunted by natural predators like crabs, wild pigs, foxes and birds on their way to the ocean. Those that run and survive nature’s gauntlet are exposed to other risks from humans. Hunting and egg collection for consumption are major causes of the drastic decline in marine turtle populations around the world. International trade in products such as tortoiseshell from hawksbill turtles continues despite it often being illegal. Gill nets and long-line fisheries are also principal causes of marine turtle mortality. Worldwide, hundreds of thousands of marine turtles are caught annually in trawls, on long-line hooks and in fishing nets. On top of all of this, climate change has the potential to seriously impact marine turtle populations and the growing problem of plastics in the ocean is also a problem. Couple all this with the fact that they take a long time to reach maturity, and it leaves turtles in a very precarious position globally. 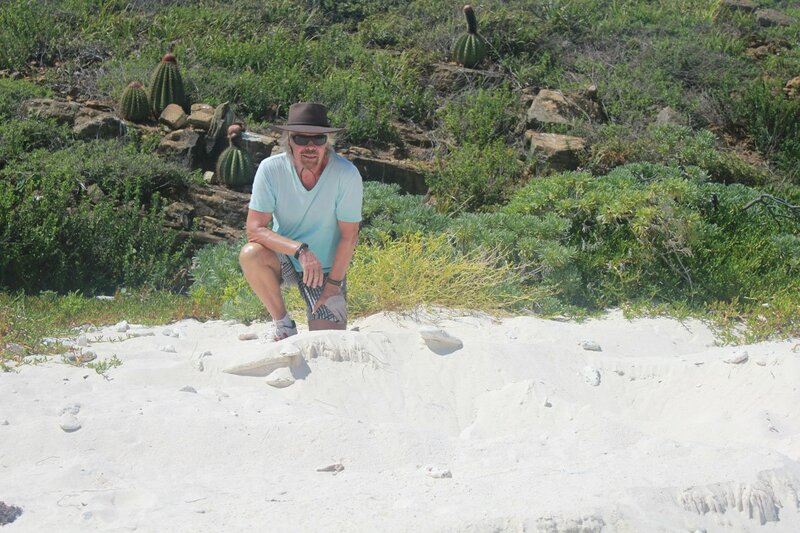 We’re proud that Necker Island is home to Turtle Beach. 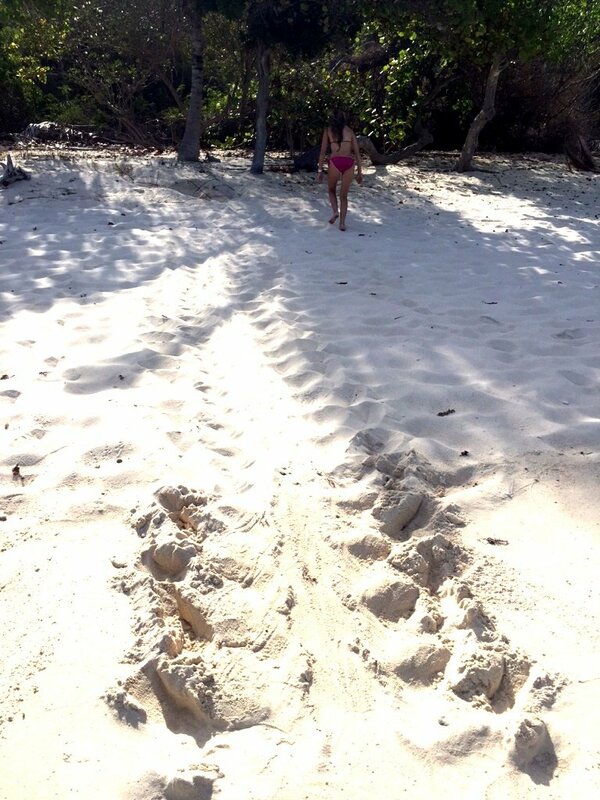 The peaceful, palm-fringed bay has become a favourite nesting haunt for turtles escaping the stresses of developed areas of the BVI. These tracks were spotted on the beach this morning. It appears as though we might have baby turtles in eight to 10 weeks. To determine that these wonderful creatures don’t face extinction, we’re working with Save the Turtles to deliver a message that turtles are more valuable tagged for conservation and tourism purposes, than they are killed for food or for their shells, or captured to be sold as pets. How we treat our world is a reflection of our humanity. Protecting endangered species is one of the most important things any of us can do. Watch the Animals of Necker video below, to find out more about what we are doing to help conserve endangered species.